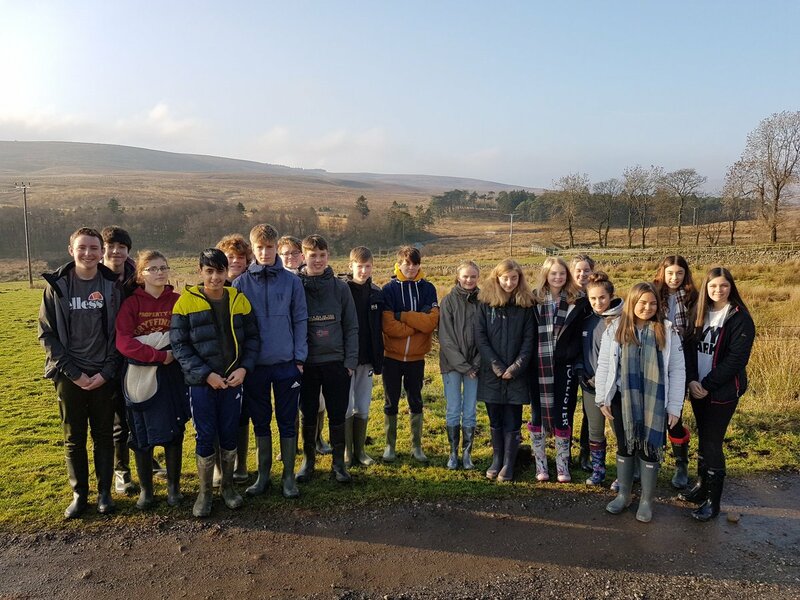 Year 9 Geographers enjoyed a fieldtrip to Nethergill Farm in conjunction with the Yorkshire Dales Rivers Trust. Students started the day learning about the site and the sustainable vision for the farm, including the use of renewable energy sources. For the rest of the morning students participated in a carousel of activities which included kick sampling in the beck to study invertebrates, studying the flood management techniques in place and a visit to the mobile classroom ‘Rivers 2U’. After lunch and some delicious home-made flapjack we went for a walk around the farm and studied different plant species using handheld magnifiers, looked at the tree-planting scheme to help improve the environment and learned about the rare breed animals the farm keeps. A fantastic day where the theory of rivers and flood management really came to life!